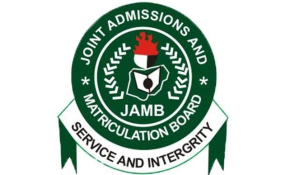 Abuja — The Joint Admissions and Matriculation Board, JAMB,has said it will soon compile and released names of people who have impersonated in its examinations in the past ten years. JAMB's Registrar,Prof. Ishaq Oloyede, disclosed this yesterday, during a meeting of critical stakeholders on strategic planning and preparations for supervision and evaluation of administration of 2019 UTME. Oloyede,who decried the continuous impersonation in JAMB's examinations despite the different measures adopted so far by the board to curb the menace, insisted that the names of impersonators in the past 10 years would soon be published to serve as deterrent to others. According to him,the development would also expose many people now in high places who had in the past impersonated in the board's examination. Hear him:"We are making arrangements to compile and publish names of all the people that have impersonated in out examinations in the past ten years. "Some of these people impersonated even when they were already graduates. Some impersonated as undergraduates. "They impersonated using different names but the same fingerprints. Some of them are now in different high places and by the time we publish these names,those now in high places will be exposed,"he said. Oloyode said any candidate who fell under such category would be catered for appropriately, including their transportation and other logistics but they would be required to take the examination under the Registrar's presence. He said: "Any candidate that cannot be verified by BVM must not be allowed to take the examination under any guise. BVM is the only form of attendance register. "No Biometric Verification, No examination. Discretion is not allowed on this matter. "All candidates whose fingerprints could not be captured during registration from centres across the country will be brought to JAMB Headquarters to take the examination and JAMB will pay for their transportation for the two trips." On new innovations for the UTME, Oloyode said: "a separate indicator had also been created for the deaf to differentiate them for special attention at the examination centre. Efforts are on to provide the option of special centres or mainstreaming for the blind. "All these are done through our enhanced monitoring system. I want to warn candidates expected to sit for its examination to ensure their biometrics were taken and verified for the examination."